Several months ago, Jason and I had breakfast with Dr. Andy Haig, spine specialist at UofM and all-around nice guy. I think that the forecast inside his mind is a constant brainstorm, which makes him a very interesting person to share a meal and a conversation with. We previously told a bit about his involvement in Ghana and Liberia. In addition to learning about these projects, talking with Dr. Haig was great because he was very optimistic about our work, and was excited to be a liason between us and the University in the future. At one point, his eyes lit up in an obvious epiphany, and he exclaimed "The Mayo Clinic!" There was, of course, a moment of puzzlement on our faces, but he quickly elaborated. "You guys are the Mayo Clinic!" 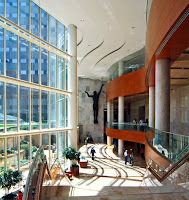 For those who are not in medicine or have never picked up a Reader's Digest, the Mayo Clinic is a gigantic medical center, arguably the best in the U.S. It is also in Rochester, Minnesota, a small town south of the Twin Cities with not a lot in the way of civic excitment and weather that people only write home about in order to brag about personal pain. And yet they have managed to bring together the best in the field, professionals who could have lived anywhere. We have an interest in the bush. We are also very open to living in a city, if that seems the best place to serve, but our hearts are in the bush. This brings up a big question about brain drain. Most professionals in Africa depart the continent for better employment options. Those who stay often go to other countries within Africa, and those who stay in Africa congregate in the cities. Why? For most of the same reasons as in the US: better pay, more cosmopolitan life, better access to the rest of the world. Dr. Haig's very interesting connection is that we should be paying attention to the Mayo Clinic, for maybe we can learn how they went against the forces of nature and provided rural Minnesota with premier health care. Ideas? He suggested investing in civic life: bring in a pro football (soccer) team; hire a national painter to use your landscapes as his/her subject matter; pursue other forms of professional industry to create jobs for other non-medical professionals. Or my favorite, Jason's subsequent idea: enlist elite US runners Ryan and Sara Hall to move to Africa (land of some serious marathon enthusiasm) and start a running school/orphanage. There's also a summary of the article on the Republic of Togo's website (in French). “Why are you going to Africa?” I’m often asked. Some people don’t understand why Jessica and I would leave loved ones or give up promising careers in the U.S. with prestige, money and security. Why subject oneself and family to tropical diseases like schistosomiasis, typhoid, hepatitis, amoebas and malaria? Why would we raise our children in the third world? Interestingly, it has everything to do with Christmas. 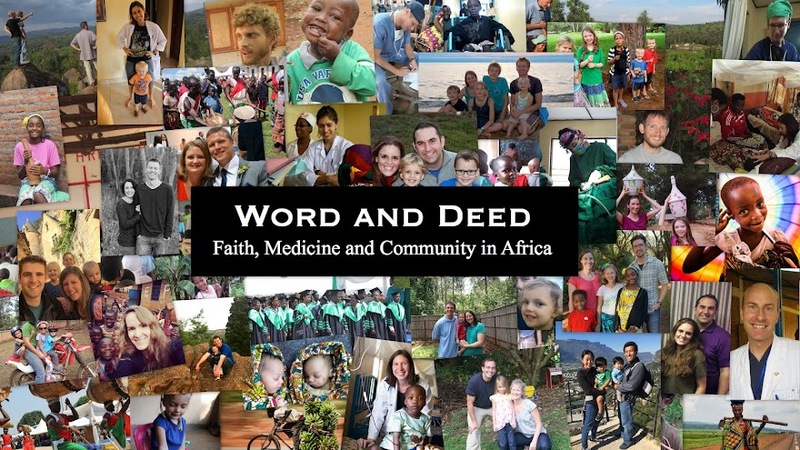 Some people assume I’m going to Africa as a medical missionary because I have a heart of gold. But quite the opposite is true. In fact, I’ve seen my heart, and it isn’t pretty. Just like everyone else in this world, I struggle with pride, lies, selfishness, fear, anxiety, identity and many other dark matters of the heart. As the ancient prophet Jeremiah wrote, “the heart is deceitfully wicked, who can know it?” We trick ourselves if we think we are “good.” Upon deep introspection, I know Jeremiah is right – I’m sinful. Even my best intentions are marred with hidden agendas. Then perhaps my impetus for going to Africa is to balance out all the bad in my life with good in order to please God or to be at peace with myself? Maybe it is a form of self-punishment or penance? But when it comes down to it, I know I’m incapable of saving myself, and to believe otherwise is to think much too highly of myself. 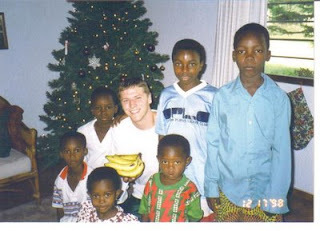 I’m going to Africa because of Christmas. Christmas is the story where people with hearts like mine find hope in the strangest of places. The King of Kings, God, looked upon us, and saw our broken hearts and lives. He saw mankind’s plight and was moved by love to intervene on our behalf. What was Spirit became flesh. Almighty God became Emmanuel, God with us, in the form of the helpless baby Jesus. Why? Why would God give up His throne for a feeding trough? Why would God expose himself to disease, pain and death? Why would He exchange His royal robes for swaddling clothes? Why would He leave paradise for a place where He would be spit upon, homeless and eventually beaten and crucified on a cross? It was out of love – out of love for our broken, helpless souls. He came to partake of our suffering and to bear on His own back the justice our sin deserves. 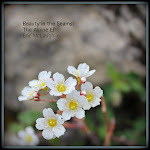 He came to set us free so that we might have life – life most abundant! Because of God’s love, I no longer have to despair of my black heart this Christmas. God has dealt with it. I can now truly love my neighbor. I don’t have to be motivated by easing my guilt, feeling good about myself or gaining “points” with God. I am now free to live by the love, grace and mercy God has shown me. It is by His example and empowerment that I can leave the hidden agendas and pride behind and show others God’s love. God’s concern for the poor, widows, orphans, foreigners, disenfranchised and other social outcasts permeates the Judeo-Christian Scriptures. You don’t need to go to Africa to find these folks. They are living next to us. Jesus said that loving God and your neighbor sums up all the commandments of God. It is the Christmas story that teaches us what true love looks like. God has placed a burden on me and Jessica’s hearts to make Africans our neighbors, but you can love your neighbor right where you are if you are willing to humble yourself and receive God’s love. Last night the Faders attended a Gingerbread House Construction Party. Believe it or not, their creation was the only African hut. And the only house with an open fire and an outhouse. Merry Christmas! I just want to relay a brief story regarding the oral board exam I took last week. It starts 7 years ago after my surgery rotation as a medical student. A very well-respected, yet harsh and cynical surgeon took me into his office and told me that I did not have what it takes to be a surgeon and that I should pursue another specialty. This tore a big hole in what I thought were my God-given dreams of becoming a missionary surgeon in Africa. I went home and found comfort in Ephesians 3:20 where I saw that God could do immeasurably more than I could imagine through Christ's power in me. It was a short encounter with this surgeon, but one that has raised its head at times of doubt since then, and I have found myself having to come back to that verse again and again. That surgeon retired shortly thereafter, and I know he doesn't remember me or the advice he gave me. I thought about writing to him after finishing residency earlier this year to "show him" that I had made it despite his advice. I'm glad I didn't. During our orientation last Monday of "how to take the Oral Boards" the person orienting us said, "...and in some of your rooms there will be an extra person...he is there just to make sure things are fair, etc." Well, lo and behold, against all odds, it was this same surgeon, and he was in my room during my exam! In many ways I know that this surgeon was right - I DON'T have all that it takes to be a surgeon, but I also know that God's strength is demonstrated in our weakness.